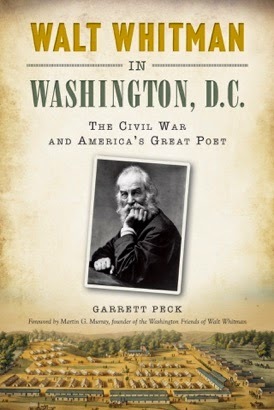 Garrett Peck is the author of the new book Walt Whitman in Washington, D.C: The Civil War and America's Great Poet. 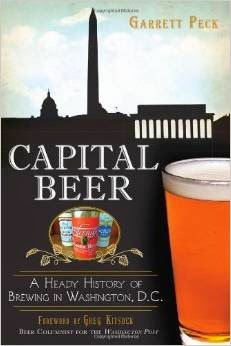 His other books include Capital Beer and Prohibition in Washington, D.C. He lives in Arlington, Virginia. Q: You’ve written several books about different aspects of Washington, D.C. Why did you decide to write about Walt Whitman’s years in the city? A: The idea for the book came up years ago; it’s a foggy memory at this point. When I finished Capital Beer, I knew I wanted to do the Walt Whitman one next; I wanted to tie it in with the 150th anniversary of Lincoln’s assassination. Peter Doyle [Whitman’s partner] was at Ford’s Theatre that night. Q: You write, “In many ways, the war made Whitman…The war would be the central event of his life.” In what ways did it change him? A: He had really tried at publishing three versions of Leaves of Grass, none of which had traction. Americans are not big poetry readers. He was able to experience the war in a new way, and [his experiences] helped with Drum-Taps…It propelled him to national and international fame. Q: Did his wartime experiences change his writing style too? A: It ultimately did. With the publication of Drum-Taps and the Lincoln poems—those were probably his last great poems. [The later ones] were still good, but not as great. Especially after his stroke, [he spent much of his time reworking] things he had written. There was nothing as good as "Crossing Brooklyn Ferry." Q: You write that Whitman “is considered one of the fathers of the district’s gay community.” What impact did he have? A: There are a lot of things you look at today in D.C. The biggest landmark is at the Dupont Circle North Metro staton—there’s a big granite ring around the top of the station, with a quote from "The Wound-Dresser." It’s from 1865 [but it shows] the universality of youth dying. It evokes the AIDS crisis—that’s why it was put there. There’s also the Whitman-Walker Clinic, which serves people with HIV and AIDS. And he was together with Peter Doyle for so long—they were one of the District’s first documented gay couples. Q: Some of Whitman’s best known poems deal with Abraham Lincoln. How would you describe his attitude toward the president, both before and after Lincoln’s death? A: Lincoln came to New York [where Whitman was living] before he was sworn in. Walt had a different attitude—he did not particularly like Republicans. When Walt came to D.C., he was a strong Unionist, and he went from indifference [toward Lincoln] to loving and adoring him. He saw him many times, but they never [actually met or spoke]. The closest he got was that he was in the same room with him, but the president was having a conversation [with someone else]. Q: So after Lincoln’s death, did his love get even greater? A: It’s hard to say if he loved him even more after the fact. There’s a tendency to overly romanticize someone. Lincoln went from being heavily criticized [when he was alive], and once he was assassinated he became a martyr to the cause. Now, many people consider Lincoln to be the best president. Certainly Whitman really adored the president before, and after, revered him. You can tell through his poems, especially Lilacs. 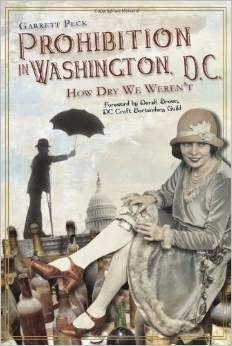 Q: After the war ended, Whitman stayed on in Washington for almost another decade, working as a federal clerk. Why did he decide to stay here? A: He had a pretty good thing going—he had a boyfriend, he had a literary circle of other federal clerks. He liked Washington. It was different from Brooklyn, which was pretty crowded. It was an exciting city. And also, he was being paid. He had a decent middle-class salary. A: I’m not certain yet—I have a long list of [possibilities]. I’m thinking of doing a national book about America during World War I, the home front. It would focus on Woodrow Wilson’s second term—there was the war, prohibition, women get the vote, the Red Scare, the race riots of 1919. It was a really remarkable period. Q: Anything else we should know about Walt Whitman in Washington, D.C.? A: It’s got lots of pictures! The Library of Congress has much of Whitman’s archives [and much of it is digital] which makes it much more accessible. You don’t have to live in Washington to access the information. And the modern photos, I took with my iPhone! It’s amazing how far phones have come along. --Interview with Deborah Kalb. 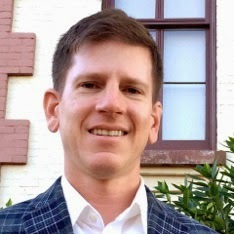 For a previous interview with Garrett Peck, please click here.